Xilisoft is a professional audio and video software developer, dedicated to developing and distributing world-class, high-quality, intuitive multimedia software. We have been developing a series of audio and video software applicable for Windows and Mac OS. At present, we have DVD Creator, DVD Copy, DVD Ripper, Video Converter, etc. for both platforms. Our rich experiences in multimedia fields including DVD burning, DVD copying, DVD converting, audio and video converting, etc., with the in-depth and concentrated study of multimedia for years, make our products in the lead of the audio and video industry all the way. Xilisoft is committed to providing full multimedia solutions to meet the diversified demands of customers. To ensure maximum customers' satisfaction, we are always ready and available to serve you. We will insistently track the newest multimedia technology to enhance and optimize our products, try our best to bring customers the most excellent software and services, and the optimal audio and video experiences all the while. Your satisfaction is our first aim. To better serve you as well as improve our products, we offer you free customer support. No matter what problems or questions you encounter, please feel free to contact us anytime, we'll respond within 1 workday. 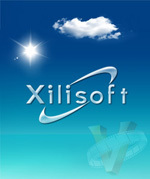 For any questions on sales, purchase, license codes, new release, upgrade, etc., please write to sales@xilisoft.com. For any inquiries or problems related to technical support, use of product, etc., please write to support@xilisoft.com.